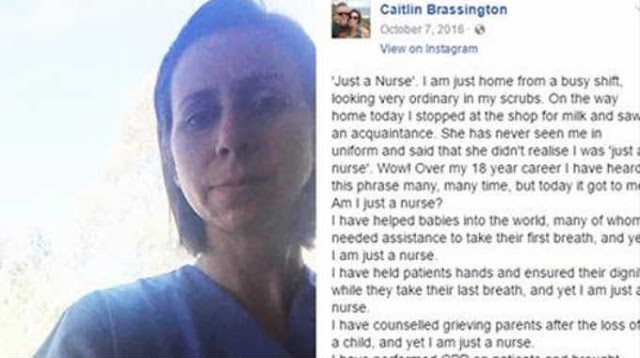 ‘Just a Nurse’. I am just home from a busy shift, looking very ordinary in my scrubs. On the way home today I stopped at the shop for milk and saw an acquaintance. She has never seen me in uniform and said that she didn’t realise I was ‘just a nurse’. Wow! Over my 18 year career I have heard this phrase many, many time, but today it got to me. Am I just a nurse? I have counselled grieving parents after the loss of a child, and yet I am just a nurse. I can ascultate every lung field on a newborn and assess which field may have a decreased air entry, and yet I am just a nurse. I can take blood, cannulate and suture a wound, and yet I am just a nurse. I can manage a cardiac arrest in a newborn, a child or an adult, and yet I am just a nurse. I can tell you the dosage of adrenaline or amiodarone based on weight that your child may need to bring them back to life, and yet I am just a nurse. This post was republished from nicerdays.org. You can find the original post here.